Found 3 file extension associations related to Vocal Synthesizer Tool UTAU and 2 file formats developed specifically for use with Vocal Synthesizer Tool UTAU. UTAU is a Japanese freeware vocal-synthesizing software. 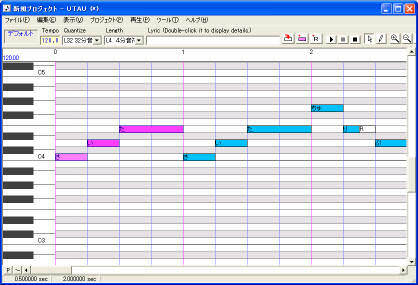 UTAU (Vocal Synthesizer Tool UTAU formally) is a program which was developed to use wave files to simulate singing. UTAU is best known for letting regular people create their own voicebanks. If you need more information please contact the developers of Vocal Synthesizer Tool UTAU (UTAU Team), or check out their product website.